The promotion, which is limited to accounts registered in the united States, offers the possibility to get a dynamic theme, avatars and more. Sony has wanted to accompany the premiere of the final season of Game of thrones –whose analysis of the first episode you have here-, with a special promotion on PlayStation 4. What has done by giving away a series of avatars, and an animated theme completely free, which shows us to be Drogon. The promotion is limited to users with accounts of PlayStation Network registered in the united States. however, not the only requirement. 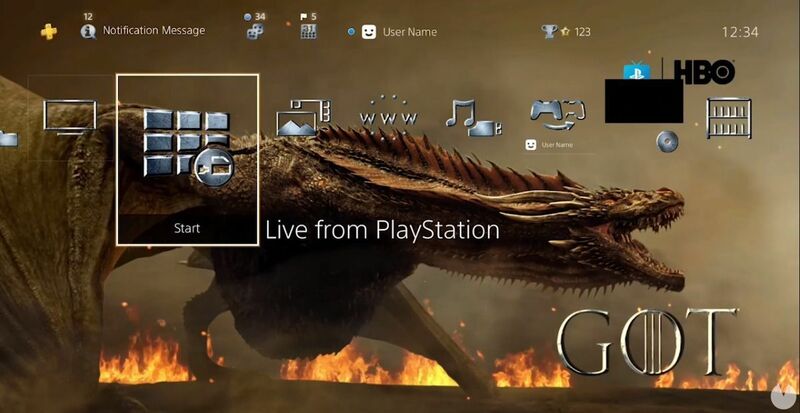 Players who want to decorate their consoles and profiles of PlayStation Network with images and wallpapers based on the success of HBO, you will have to follow a series of steps. The first of them, will be the go to this page, log in with our PSN account, view the corresponding video and click on Redeem Here once you finish the clip. It will give us a code, and once accomplished, you’ll only have to go to the console and download it.